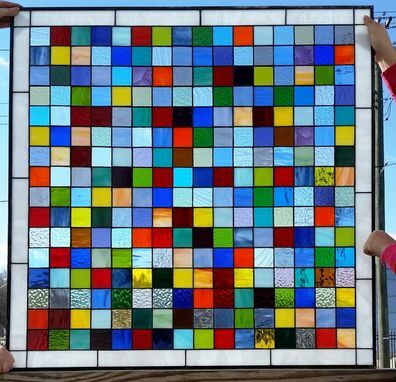 This super colorful panel is a different version of our "Color Mix" (P-32). 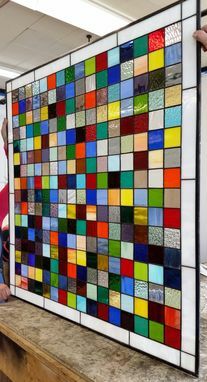 Glass: we used all colors and a mix of all textures both transparent and translucent opals. We also used white glass for the border. 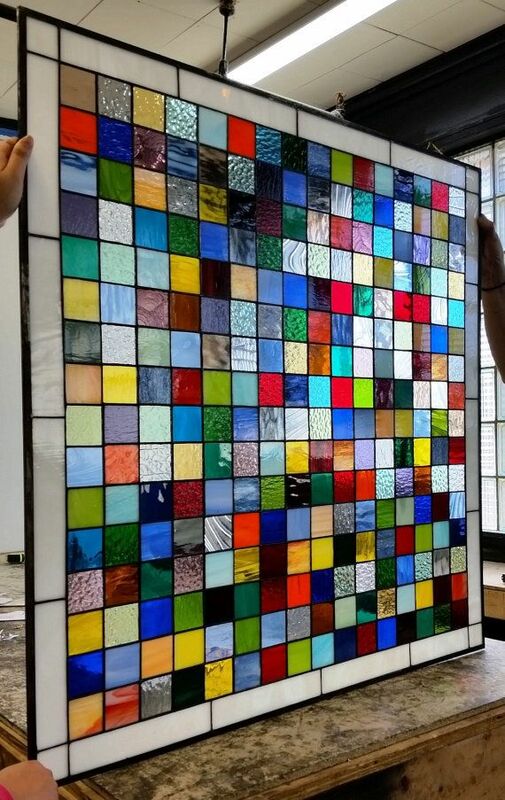 If you want to have a splash of color decorating your home, you should know that this piece is available in any size and colors you may need.